Take a look at the 2 paragraphs given below. How well can an e-Learning training program fit into safety training? How well can an e-Learning training program fit into safety training? The best of e-Learning is its anywhere, anytime solutions. The e-Learning program should be designed such that it delivers more information on the standard prodedures and precautions to be followed in a workplace. From an instructional design context, you can use scenarios and real image, short videos and animations to make it visually attractive for learners. With these interactivities, you can show the step-by step procedure or a checklist to be followed. Take the help of various authoring tools to make simple and effective online training programs within the given budget and timeliness. The best of e-Learning is its anywhere, anytime solutions. The e-Learning program should be designed such that it delivers more information on the standard prodedures and precautions to be followed in a workplace. From an instructional design context, you can use scenarios and real image, short videos and animations to make it visually attractive for learners. With these interactivities, you can show the step-by step procedure or a checklist to be followed. Take the help of various authoring tools to make simple and effective online training programs within the given budget and timeliness. Which did you find easier to read? Obviously, the content on the right side. Why was it easy to read that? Yes, because the content has been broken down into five small paragraphs. Similarly, your elearning courses or training materials, when broken down into smaller courses or modules that take 5 to 10 minutes to complete, make easy learning for your learners. This is known as Micro-learning. Micro-learning is just-in time learning. It is a method of delivering training in small, specific bursts with focused and digestible information. The full course is broken down into small manageable chunks. In this format, the learning objectives and learning activities are shorter. It is self-directed learning which helps the learner access the smaller fragments at a time. 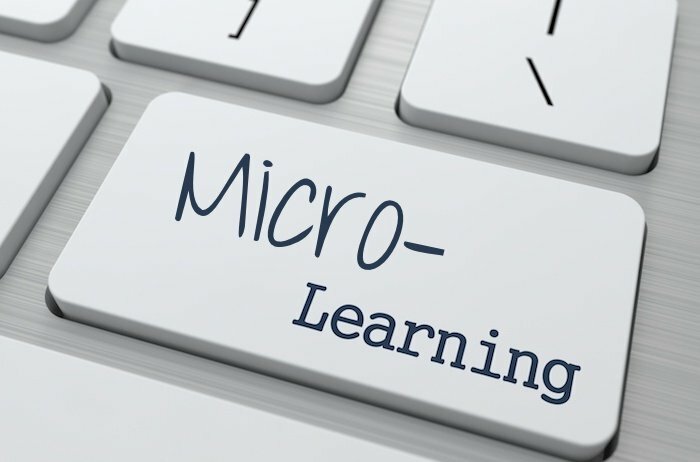 Micro-learning can be optimized when the learner is receptive to that particular information. Through micro-learning, learners receive byte-sized information in the form of videos, audio clips, presentations, quiz-zes, games etc. Do you know the average attention span of millenials is only 90 seconds? A study shows that most of GenY people use short videos, inforgraphics, or podcasts for information. They don’t want to go for tons and tons of content. Micro-learning content takes less than 10 minutes. If organizations want to retain the best talent, then they have to adapt this change in learning methodologies. Flexible: Micro-learning is flexible in nature. As I mentioned earlier, it is also called just-in time learning which helps the learners access information when they need it. It is helpful to learners when they are the most receptive to the information. It is also called on demand learning. Technology-driven: Gen-Y workforce are tech savvy. They have grown up in a world surrounded by technology. They prefer i-phones, i-pads and various other gadgets for learning purposes. Micro-learning is the only way out which figures better than any other kind of learning methods. Cost effective and simple: Micro-learning courses are cost-effective. Due to the shorter course duration, they take very less time to be developed. They are very cost-effective as well because the overall cost involved is very less. Learning modules are small and less complex in nature. Focused: Micro-learning focuses on one objective at a time. Hence it helps the learners focus on specific content rather than the complete, vast subject. It also helps learners concentrate on the information they want. Various formats: Micro-learning content can be delivered in a variety of forms such as videos, presentations, games, etc. To know more, why don’t we go through some advantages of micro-learning? Helps increase engagement: Micro-learning content can be delivered in various formats such as videos, podcasts, infographics, games, small presentations, etc. Online videos help the learners understand more than simple text and images. Games also cultivate interest among the learners by involving them in healthy competition, etc. Real world examples through infographics and presentations are also very helpful because learners can co-relate the events with events they are familiar with. Helps retention: Organisations usually conduct traditional classroom training for better learning outcomes. But do you know learners can recall less than 20% of material learnt in the classroom? In Micro-learning, the content is very less and can be comprehended easily. Due to simple and small content, learners can easily retain the information their minds. Helps achieve quick results: Due to smaller pieces of content, learners can go through the course immediately at the point of requirement. For example, a sales person can go through the new product information before meeting a customer. Helps collaborative learning: Micro-learning encourages collaborative learning. Learners can get in touch with their superiors, subordinates or peers through SMSes, discussion forums, etc. At the end, I would like to conclude that Micro-learning is very flexible and allows learners comprehend the content easily as and when needed. 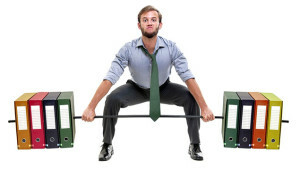 It helps minimize skill gaps in the sales force. I’ve been making this statement for the last decade. But it’s only been in the last few years that I’ve actually seen it becoming a reality. Training-preneurs are all over the internet. They are the people who have seen what technology has done to other industries, as well as what it’s done for individuals. The tools of the internet have changed the world of education/training for ever. The tools mixed with the natural creativity of those born to teach makes for a powerful combination. And that wave of change has only just begun to swell. 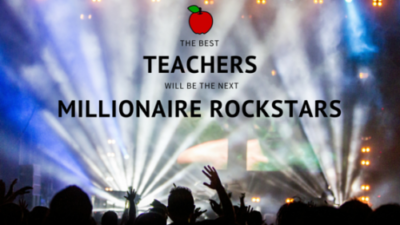 The next millionaires are on the rise…and they’re selling knowledge. Training-preneur is an awkward term at best. But it’s the best way to describe in one word those who earn a living by teaching outside the traditional education system. Most often their entrepreneurial instincts see a need. There are small startups. And for the biggest collection of Training-preneurs you need look no further than YouTube. Many sell their knowledge on blogs and monetize via online advertising platforms such as Udemy. Some do it better than others. And they may not be millionaires, but many are making a good living, or extra fun money at the very least. Teachers are even selling their lesson plans to one another. Many training-preneurs have even stepped up their game with training platforms like CRS Academy to manage their entire training business. The list of ways to make money in education are growing, and I can’t list them all here. Heck, I don’t even know what they all are. Nobody does. But it’s safe to say there are enough options to give everyone a shot at it. Training-preneurs are no different than any other teacher drawn to their career by an inner passion for learning and sharing. This growing population has a natural instinct for both teaching and learning. When they gain new knowledge they are compelled to share it with others. And how that sharing occurs is not restricted by any rules, models, methods, or school systems defining “the right” way to deliver instruction. They simply do what comes natural, build an audience, and deliver on what that audience responds too. I’ve seen many business models in the education space come and go over the years. Lynda.com is a great example of how just giving the learner/customer what they want actually works. Short high quality videos on highly focused topics. YouTube is no different. It’s everyman’s Lynda.com. No matter how BAD your video is, you can still post it to YouTube and learn from that experience. The hope is that you get better and better with each new video. Most YouTubers that stick with it actually do get pretty darn good. 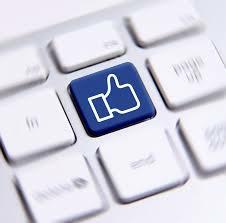 Their delivery improves, the video quality improves, the content improves, and their following grows. And as their audience grows they begin to see financial returns. It’s a brilliant idea. And from personal experience I can assure you her training in this area should be required for all the restaurants in my neighborhood. And if you think certification programs are a wide open market, think about CEUs (Continuing Education Units). Continuing Education training is a massive industry. Most licensed professionals are required to have a certain number of hours in CEUs to keep their credentials current. This of course makes for an amazing opportunity for those willing to put in the work. Technology has created new opportunities in just about every industry. The technology today is powerful, fast, and finally in the mainstream. When you have 82 year old grandmothers becoming famous on YouTube, it’s definitely gone mainstream. And okay so maybe their show is more about entertainment, but that doesn’t mean it can’t be educational. But I’ll save the “what’s learning and what not” conversation for someone else. The reality is that technology is not only amazing but it’s being used on a regular basis by all ages. The latest trend is livecasting. 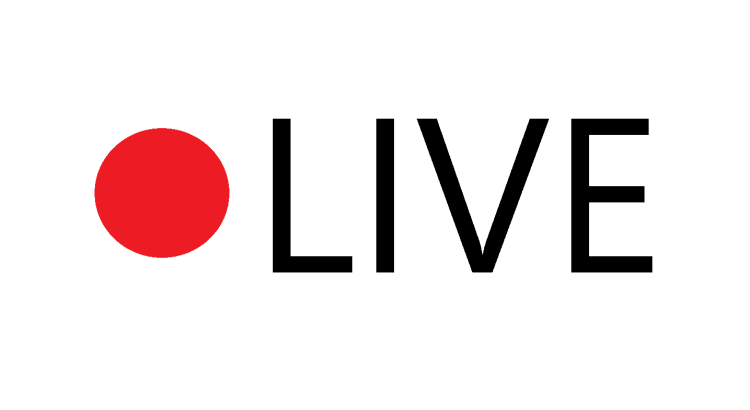 Live video streaming from mobile devices with apps like Meerkat, and Periscope. And more recently a platform called blab.im has made a HUGE entrance onto the scene. While it’s anyone’s guess as to which companies will win and which will lose, its the basic idea of easy video streaming that is the big winner for everyone. Even before mobile livecasting there was Google Hangouts, Ustream, and others. Technology is no longer the barrier. It’s even incredibly easy to create a beautiful website faster than ever before. Look at Strikingly.com. So, you can create a web presence with something like strikingly.com. Create and sell courses with ILearnAnything.com, and publish supplemental, or primary, content via YouTube or Vimeo. And promote your efforts on social media to engage your audience of learners. The Training-preneurs are real. They’re already here and they’re making money. And they aren’t instructional designers or learning gurus. They’re teachers using technology to do what they love. And I think that’s pretty awesome!